Xu Wei is a man from Shanghai. He had been incarcerated in psychiatric hospitals and other custodial institutions since 2002, spending around fourteen years in captivity. 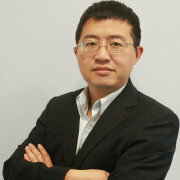 When China enacted its Mental Health Law in 2013, Xu Wei had the redoubtable honour of being the plaintiff in the first case invoking the law for his freedom. There are civil laws in China that make possible that persons with psychosocial disabilities are deemed incapacitated or as having limited capacity. However, the Mental Health Law (MHL) of China explicitly sets the right of a patient to petition for their discharge. Xu Wei decided to petition and I was his lawyer. Assisted by a dedicated NGO, we had a five year long fight ahead of him. This is the story of that fight. By the time China enacted its Mental Health Law on May 1st 2013, Xu had been hospitalized in a private institution called the Shanghai Qingchun Institution for Mental Rehabilitation for ten years. During his incarceration, he had tried various ways of freeing himself, including running away and changing his guardianship. Nothing worked and the possibility of one day flying over the wall of the institution became harder and harder! Article 82 of the Mental Health Law said: “Patient with mental disability/disorder or his/her guardian or close relatives can initiate a litigation if he/she thinks his/her rights are violated according to this law by administrative, medical or other parties.” While there are no laws or regulations that deny the right to access to justice of persons with mental disability/disorder, this Article was a milestone in that it was the first time that this right was explicitly declared in any of Chinese laws. Xu Wei was able to sue on the first day of the enactment of Mental Health Law just because of this article. Then followed a seven month long wait before his case was accepted by the court, during which time I, as his lawyer, had much explanation to do in the court. According to the Article 82, the right to sue of persons with disability/disorder is assured and cannot be deprived by the court. And according to the principles of the right to proxy in Civil Rules of China, the guardian as a defendant should not be the guardian/proxy of the plaintiff in the same case. The court had to recognize the plaintiff’s right to choose a lawyer to represent him. But I knew, and so did the court, that there would not have been much patience to deal with this case if it wasn’t for Article 82 of the Mental Health Law. Fast forward to 2015. By now, Xu had lost the first court trial of this case and began the procedure for appeal. Neither Xu nor I felt particularly optimistic. My opinions were stated on my statement of appeal: “There are two focal points of this case: For one, is the appellant’s behaviour a danger to himself and/or to others? For the other, does the appellant have the right as well as the capacity/ability to discharge by himself?” For the first point, I argued that the appellee had mixed up the concepts of ‘dangerousness’ and ‘probability’. For the second point, Article 45 of the Mental Health Law already states: “For psychiatric patients who are to be discharged, if they had no capacity/ability to do that, their guardians should take the procedure of dischargement for them”. This implies that the psychiatric patients can take the procedure of dischargement by themselves, as long as they have the ability to do that. But despite this favourable amendment, unfortunately, we lost the second trial too. The court utilized the General Civil Law over the Mental Health Law. But I continued to feel confident that the amended Shanghai Mental Health Ordinance definitely strengthened my arguments in this case. The Court of Putuo District concluded that it cannot declare that Xu is a person of capacity because the previous (2012) verdict of the case cannot be considered as “a verdict that declears you (Xu) were/are a person of incapacity or limited capacity.” Although the previous verdict de facto recognized that Xu was a person of capacity, the cause of action of that case was to change his guardian but not to declare his capacity. Therefore the court alleged they have no privilege to do that (and also Xu cannot provide another verdict which declares he is a person of capacity). Such logic sounds reasonable from the perspective of those judges who adopt an ‘ostrich policy’ to their cases! The previous (unamended) Civil Law (民法通则) regulated that the stakeholders of the psychiatric patient can apply for declaration that the patient is a person of incapacity or limited capacity before the court. The person who is declared as incapacitated or of limited capacity can by himself/herself or by stakeholders apply for declaration that he/she is a person of limited capacity or full capacity before the court. Article 187 and 190 of Civil Procedure Law also state the procedure of the declaration of capacity/incapacity. However, problematically, there are large numbers of persons with psychosocial disabilities and persons with intellectual/learning disabilities being treated as persons of limited or no capacity by various organizations/institutions for various reasons not declared in court. Xu is one such person. 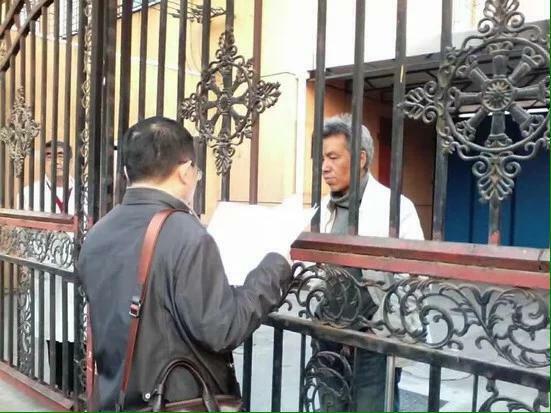 He had been treated as a person of limited capacity by the local hospital for ten years before he received the legal judgement declaring him as a person of limited capacity from the Putuo District Court in 2012. During these ten years he had been designated a guardian by the local authority (居委会). And during these ten years he had been isolated within the walls of a private mental institution for ‘rehabilitation’, with his liberty fully deprived. So the tricky thing is, according to the logic of Putuo District Court, what capacity does Xu have? Is he legally a person of limited capacity? Or is he a person with full capacity since no legal procedure has declared that he is not? After being incarcerated for so long, the society/community will not recognize his capacity as fact. So how will he find ways to resume his personhood with capacity which has been somehow lost? You know what? The court does not think of such things. We had to change track and use our third course of action, which was that we represented Xu’s mother to apply to the court to disable her guardianship of her son. The court finally accepted the case. Thus Xu was able to apply for his third psychiatric forensics and was successful – he was recognized as having fully capacitated personhood. Therefore, there was no need to take the action to disable his guardianship. We then asked the court to declare that Xu was a person of full capacity with this forensics result as evidence. But there was still the old dilemma: Why and how would the court declare Xu was fully capacitated while nobody had declared that he was not? Fortunately for us, on October 1st 2017, an amendment was enacted on the General Principles of Civil Law (民法总则). Its Article 24 changed the term ‘declare’ (in Article 19 of Civil Law) to ‘recognize’ when it comes to state the procedure for judging a person’s capacity. Essentially, this meant that the declaration of incapacity is not the premise of the declaration of capacity. The court can recognize the person’s capacity based only at any explicitly or implicitly stated recognition of the person’s incapacity in previous judgements. According to this change, Putuo District Court had to make a judgement declaring Xu’s full capacity in October, while it accepted our application as early as on August this year. 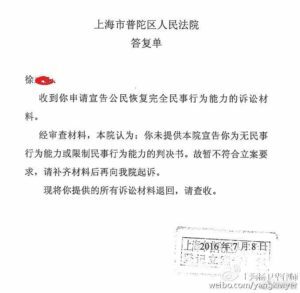 And thus, with the recognition of full capacity, the first case under the Mental Health Law in China was concluded. Xu Wei started a brand new life as a free man, along with his girlfriend who, incidentally, was also committed to the same mental institution for many years.